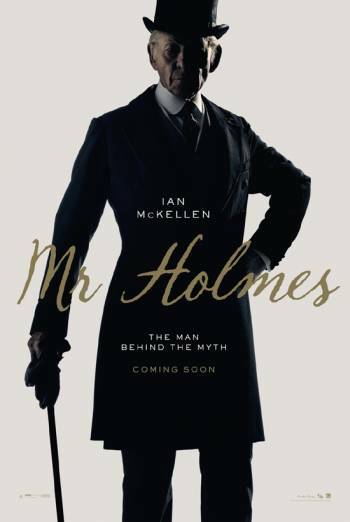 Summary MR. HOLMES is a drama about the elderly amateur detective as he recalls fragments of an old case while struggling with his deteriorating mind. MR. HOLMES is a drama about the elderly amateur detective as he recalls fragments of an old case while struggling with his deteriorating mind. Mildly upsetting scenes include references to the destruction of Hiroshima in WW2, references to poisoning, scenes in which Holmes collapses, one with brief sight of blood on arm, and some brief images of a boy's face and arm covered with severe wasp stings. A suicide is clearly implied by sight of a woman walking in between some railway tracks in a tunnel as the lights of an approaching train get closer. No further detail is shown. There are also references to a woman having several miscarriages.